Most buildings are conveniently located near public transit and retail options. Management is unresponsive to complaints. Great location and nice, spacious apartments. I enjoy taking advantage of the gym, pool, and cyber cafes. The only downside is the lack of storage space. I also had an issue with ants when I first moved in, but luckily the management is pretty responsive. I’ve enjoyed living here, the staff is kind, maintenance is AMAZING (esp Rodger), and the unit itself is well built with nice modern finishes. The community is clean and quiet. Great location - close to Emory SoM, many grocery stores, and within reasonable driving distance to Buckhead, Beltline (Ponce City Market, Krog Street Market), and airport. Apartment is recently remodeled, spacious, and clean. Management can be somewhat unreliable. The apartment is located in downtown Raleigh. It's a long distance to Duke, but i have the bus station 1 block away so I don't need a car. The area surrounding the building is great, with lots of shops and restaurants. The building is very secure, elevators are floor controlled (a special RFID tag to go to each floor is needed), and there's a concierge 24/7. The front desk receives and stores all the packages that are delivered so you don't have to worry about them. The amenities are great (gym, pool, lounge, grills, etc.). It is great to have friends over. I love Woodland Hills. Its 10 minutes from school and grocery stores are right down the road. Very convenient. 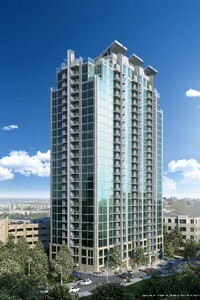 I havent had any issues with the apartment and it was the biggest in square feet for the lowest price. There is enough free parking and I like that you park right in front of your apt instead a huge parking garage. There’s a pool, tennis court, and small gym. The apartment itself is extremely nice, spacious with a patio overlooking one of the two pools. High ceilings and very large living area for my roommate and me. Only 3.5 miles from school and across the street from Publix, Chase Bank, CVS, Tara movie theater. Very centrally located. Gym in both the complex and a standalone private gym on the bottom floor. Massive parking garage with lots of space. Maintenance is very responsive to issues and fixes any issues well. Only downside thin walls and floor but we're on the top floor so it's less of an issue. 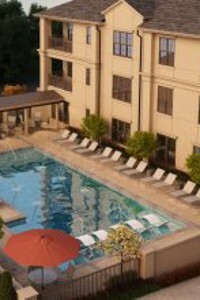 Woodland Hills is a great apartment complex for students who are looking for a budget friendly solution to housing needs. Our apartment was freshly refurbished and included brand new appliances. I've experienced very few drawbacks (such as a small gym), and give this apartment an Excellent rating simply for the exceptional property management. As someone who has lived in many apartments, management is the one thing that can make or break your apartment. Woodland Hills offers incredible customer service, almost immediate service/repairs for anything that goes wrong in the unit, and are always friendly and ready to help. Can't say enough good things! Great environment but expensive and detached from classmates. I placed an order for checking my kitchen sink as there was some water leak. I guess the maintenance guy came “checked” and left a note saying that they’re returning the next day to replace the kitchen faucet and there was a new faucet in the box on my bar. When I came back home the next day, I found a note saying that my issues had been solved, but the faucet wasn’t replaced. Yea, they fixed the problem, there was no water leak, but they lied about changing the unit. I didn’t call the office as I HATE dealing with those outrageous creatures. It’s also a very dangerous place to live. I’ve got few emails informing that there had been some attacks on some ladies in the parking lot and the laundry room. My main issue now is that I moved from that place and now they’re asking me to pay $700 (on top of my $300 deposit) for the things that every normal apartment complex is supposed to do every time they get a new resident. The thing is they say that they’re very pet friendly. They said they paid for replacing the carpet and cleaning the apartment odor (pet, food). First of all, my dog never ever has any accidents in any house or apartment and the carpet was already old when I moved. Secondly I hired a company to clean the carpet before I moved. They’re charging me for wall wash, air duct cleaning seal vents. I had 2 jobs but still found the time to completely clean the apartment, spent some money and apparently it wasn’t enough for them, because no matter how good you clean the old stuff won’t become new. They sent me some pictures of that freaking apartment and they took pictures of the carpet the way that there is a shadow on it and it seems that it’s dirty. I’m going to send them the carpet cleaning receipt. They knew that I am moving out of the state, so they waited for 17 days before sending me the $700 bill. I wouldn't ever recommend this apartment complex to anyone. There is absolutely nothing good about them. These are new apartments and they are great, but unfortunately some of the building ammentities are commonly out of order, the elevators being a common problem. Otherwise, this apartment is spacious, clean and modern and with a great location having tons of stuff to do nearby. 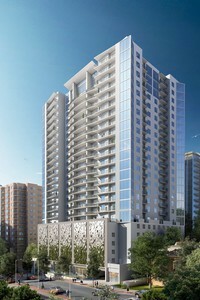 This apartment complex has a really nice location, just in buckhead, almost in midtown. 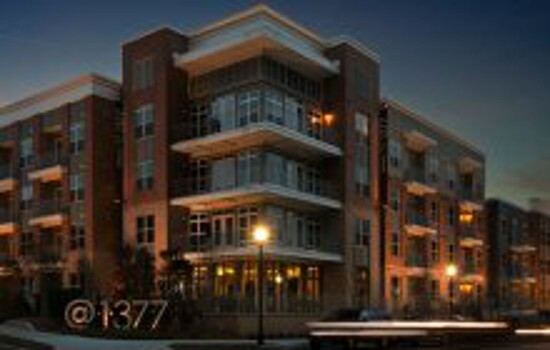 Just a mile away from Peachtree Street, next to a part of the beltline where you can go outside. Also has a nice tennis court and pool, barbecue, gym, everything you need. Eleven North has been a wonderful place to live. It's convenient to everything downtown and the staff is very kind and attentive. I would say the biggest selling point for me were the amenities. The pool/grill area is a great place to socialize and the gym, tanning bed, and sky lounge all add a lot of value to the quality of life. Not to mention you get all the perks of living in/near the gulch with an easier price tag than most other buildings nearby.